NEW ORLEANS, La. — Former NBA star, David Robinson, was the keynote speaker on May 13, at the College of Biblical Studies Rising Star Dinner at the Royal Sonesta in New Orleans, Louisiana. 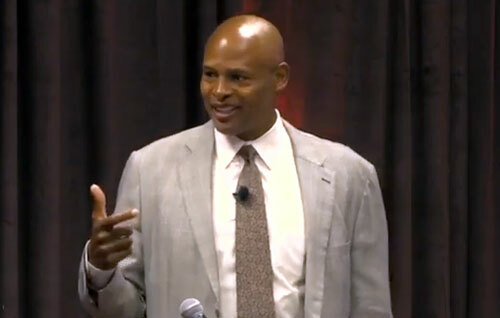 Robinson spoke to a crowd of over 260 supporters about his deep Christian faith along with basketball anecdotes. 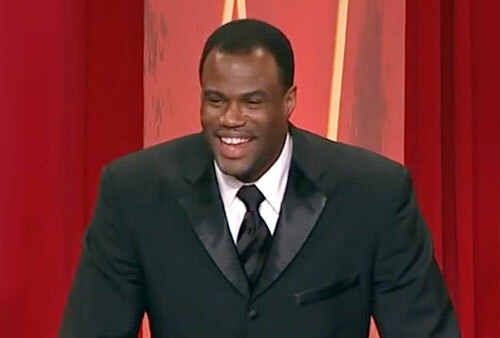 Photo shows David Robinson delivering his Hall of Fame speech upon being enshrined into the Naismith Memorial Basketball Hall of Fame as part of the class of 2009. 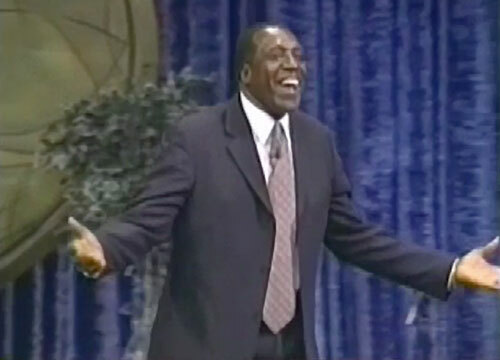 Christian Speakers 360 presents former Harlem Globetrotter, Meadowlark Lemon, speaking at two Christian events. Meadowlark begins speaking at a mega church called Victory Christian Center in Tulsa, Oklahoma (associated with Oral Robert’s University). The footage then moves to the Union Rescue Mission in Wichita, Kansas where Meadowlark, as the keynote speaker, gives an inspirational speech to a packed crowd. Photo shows former Harlem Globetrotter, Meadowlark Lemon, speaking to a crowd at the Victory Christian Center in Tulsa, Oklahoma and the Union Rescue Mission in Wichita, Kansas. Who was Michael Jordan’s favorite basketball player, the man he looked up to? That hero was none other than basketball star, David Thompson, aka: ‘Skywalker, also known as basketball’s greatest ever. 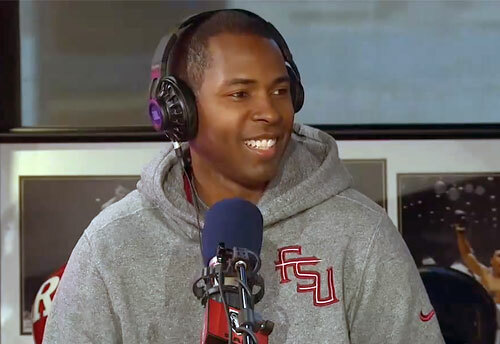 With 52 wins and one loss over two seasons at North Carolina State, culminating with the NCAA championship in 1974, two-time college player of the year, most valuable player of the ABA All-Star game, most valuable player of the NBA All-Star game, even scoring 73 points in one game, and enshrined in the basketball Hall of Fame, Thompson’s stats are staggering, yet Thompson says he doesn’t feel he accomplished everything he could in his career. 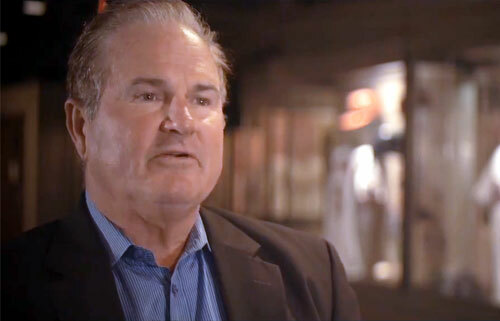 Photo shows basketball star, David Thompson, speaking with The Christian Broadcasting Network about his basketball career and how he found Christ after a life of drugs and alcohol.